A pack of 48 necklaces. 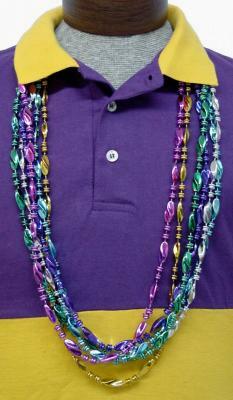 These are twist beads on a 42" strand. Colors included: purple, green, gold, silver, pink and blue.